I love seeing other people’s creative spaces. Here are 40 Inspiring workspaces of the Famously Creative so check them out. I’ve selected a few and the reasons why I love them. 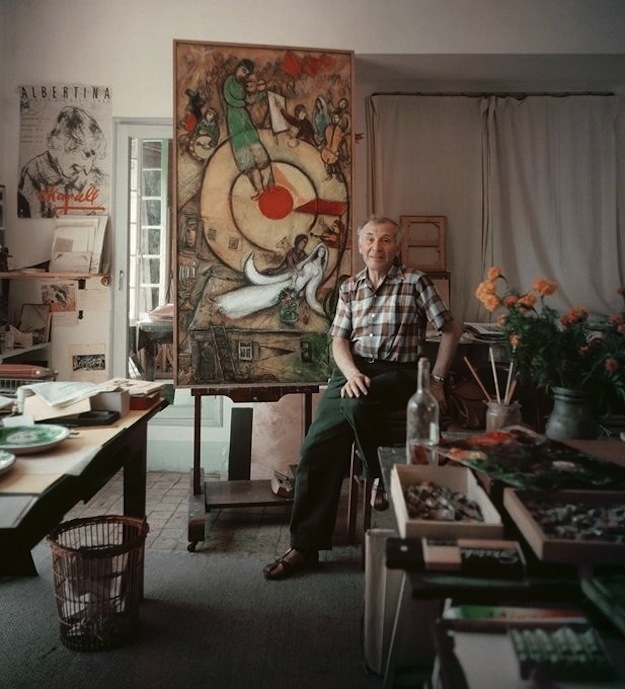 I love Chagall’s beautiful, dreamy work. And he looks like a lovely man. 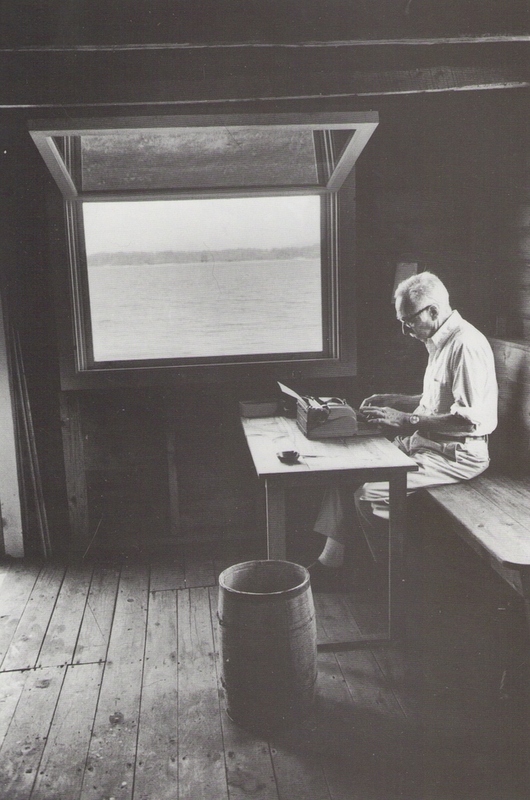 The raw starkness of E. B. White’s writing studio says it all. On the outside is nothing, but inside, a whole new world flourishes. 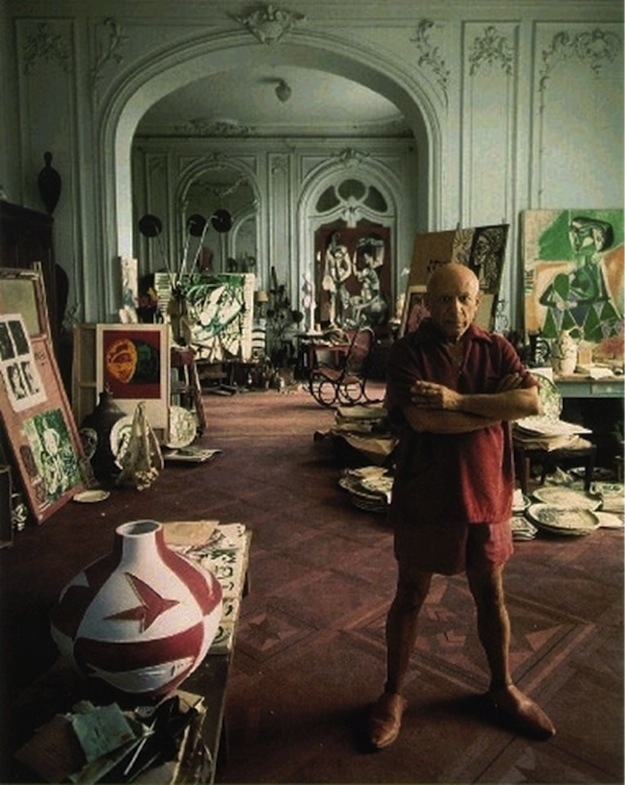 What a fabulous house Picasso lived in! I love the view. 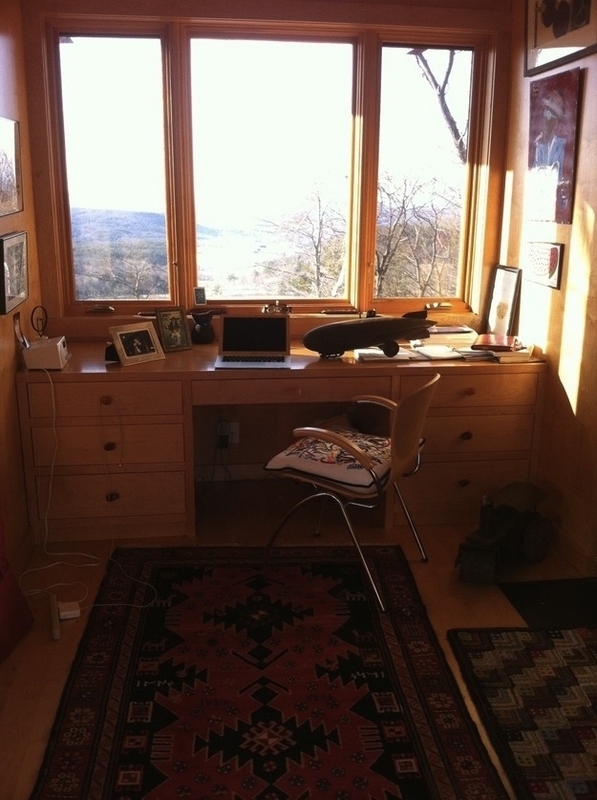 I would like a studio with a view looking over mountains or the sea. 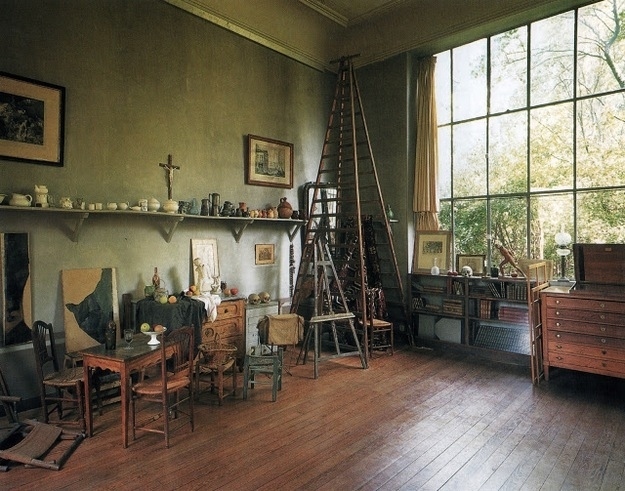 Cezanne’s studio looks like one of his beautiful paintings. My studio is really messy. My drawing table is lovely. I designed it and had it made at Nyora Studios in Eltham. It is based on Shaker furniture. 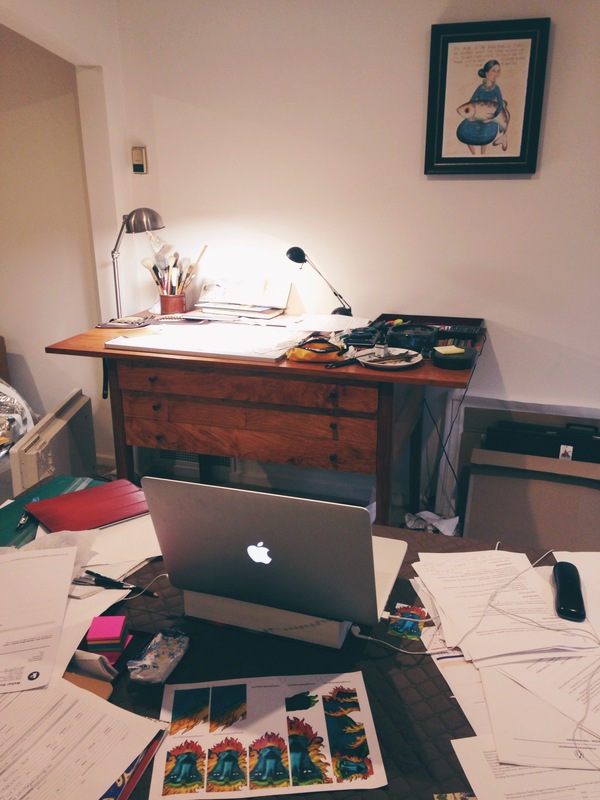 Being a writer and an illustrator means that I am twice as messy and need double the space. In my next house I want to build my dream studio. It will be in the back garden with lots of windows and plenty of light and a view of trees and plants and shrubbery. And maybe it will be by the sea.